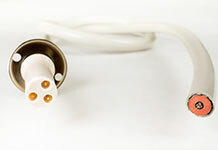 When your product requires compatibility with existing push-pull connectors, Amphenol Alden’s medi | mate product line offers the interconnects you want with the service you need. 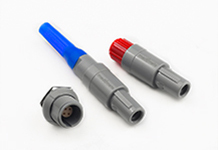 Medi | mate connector kits combine the familiarity of circular push-pull interconnects with Amphenol’s unparalleled commitment to quality products. 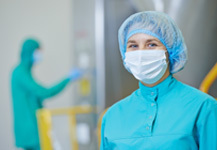 Sterilizable, reliable, and robust, medi | mate is available in multiple keying and color options enabling fast and safe product identification wherever multiple interconnects are used. 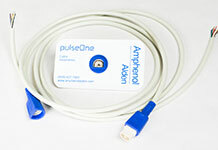 When you need more than connector solution, Amphenol Alden is ready to support you with decades of experience in designing and manufacturing medical cable assembles. 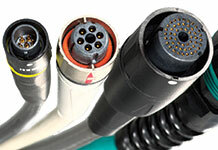 We offer medi | mate in custom, semi-custom, and build-to-print cable assemblies. 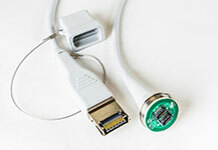 Contact Us or review our Technical Resources page to learn more about our medi | mate connectors and cable assemblies.